CBS News published an article yesterday morning about overbiffing and how it is the latest “outrage” in debt collection. Overbiffing occurs when a collector asks an individual for more money than is owed — the Balance in Full (or bif). Overbiffing sounds very inside baseball, and nothing enraptures the media more than a public who is being duped. 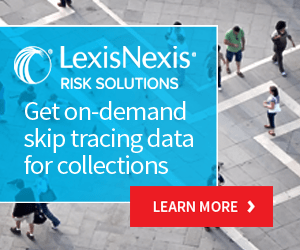 Overbiffing entered the lexicon last week when a complaint was filed by the Federal Trade Commission and the Attorney General of New York against a number of defendants, alleging the group repeatedly attempted to collect more than what was owed from individuals. The report is a well-intended public service announcement. No legitimate debt collector is going to ask for more than what is owed so people should be outraged if there are scammers trying to steal from people by asking them to pay more than what they owe. To reinforce the seriousness of the scam, the report’s author sought confirmation from a consumer protection source. Heath goes on to advise the public that they have the right to tell collectors to stop calling. If a debt collector is abusive or is harassing you with multiple phone calls, you also have the right to bar them from further telephone communication, says Heath. The collector would then be forced to only contact you in writing.